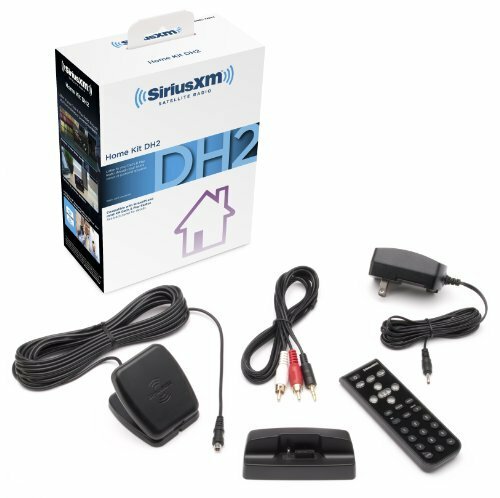 This home kit includes everything you need to play select XM or SiriusXM Dock & Play radios through your home stereo system: a desktop cradle, an audio cable, a remote control, a home power adapter, and a weatherproof antenna. Connect the cradle to your home stereo system with the audio cable, position the antenna for prime reception, and plug the power adapter into a standard wall outlet. This kit currently works with the XM Onyx and the SiriusXM Edge radios, sold separately.